The fish-shape 2.12 ct. brownish-orange pearl measures 21.34 mm by 6.28 mm by 2.81 mm, according to a Gems & Gemology lab note authored by Sally Chan Shih and Emiko Yazawa. The authors point out that a natural pearl “takes on the characteristic color and surface properties of the mollusk in which it forms.” This particular fish-pearl showed “no indications of work, such as polishing, that is sometimes performed to improve a pearl’s appearance,” they add. As odd as this is, this is not the first natural pearl GIA has seen that looks like an animal. 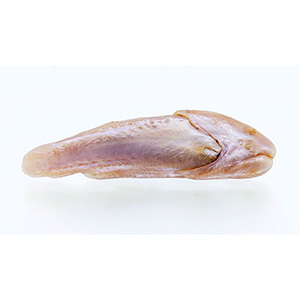 In 2015, it found a pearl that bore an uncanny resemblance to a fish head.